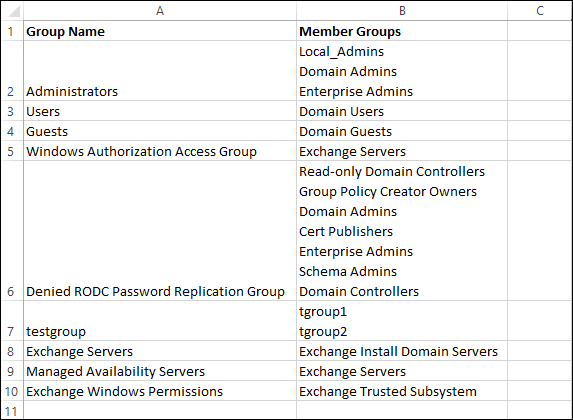 Don’t forget to Wrap Text the Member Groups column. this doesn’t seem to return the nested groups when I used it. It only returned 1 group when there were over 200 groups. Any ideas? May be you did not “Wrap Text” the “Member Groups” Column.